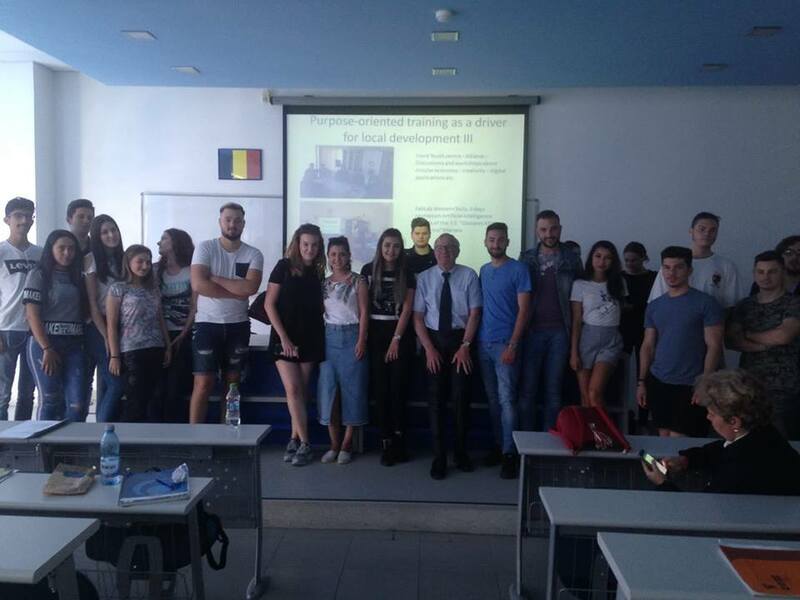 EAR-AER Board Member Louis Delcart did a lecture about the role of local authorities in stimulating local entrepreneurship and start-ups for bachelor students at Titu Maiorescu University Bucharest. He insisted on digital and green economy, localisation and the return of craftsmanship and of efficient Education. The lecture was possible thanks to Mrs Ionica Oncioiu, EARÁER founder and vice-president and Dean of the Faculty of Finance and Banking, Accountancy and and Business Administration, Titu Maiorescu University Bucharest and the financial support from the Government of Flanders.